In this article, we recommend the best portable exercise equipment to help you get a good workout at home or when you’re traveling. 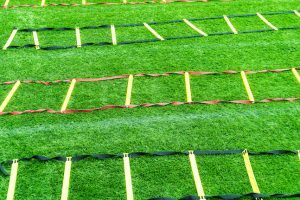 We pay particular attention to equipment that is low cost and easily movable, and we break it down into the most common forms of exercise; aerobic exercise and resistance training. Maintaining a physically active lifestyle is crucial. Human beings adapted in an environment where physical activity was simply a way of life. Hunting, gathering, traveling, playing, fighting, and fleeing all were everyday activities for our ancestors. Exercise, therefore, is our substitute for these natural activities. Exercise is the thing our bodies, and our minds, need in order to function properly and be normal in this modern life. But, making time to be physically active can be a challenge. Our lives can be so full of alternative activities and other barriers that we fail to make time to do this thing that is so important to our overall well-being. Going to the gym can be expensive, time-consuming and just downright inconvenient. We at The Home Fit Freak believe it is also unnecessary. You can easily get all the exercise you need at home. However, space at home can be limited. Some people also travel a lot, for work, family and fun. In this case, buying a gym membership or putting together a complete home gym would be totally impractical. Limited space in your home doesn’t need to prevent you from getting enough exercise to sure up your physical and mental health, and neither does regular travel. All you need is some exercise equipment that can be easily moved from room-to-room in your home, or packed into a suitcase to take on the road. And if you can find the right equipment, it can be worth its weight in gold. 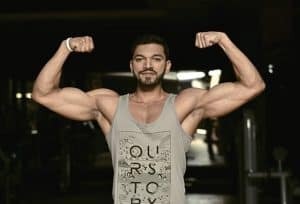 Whether you want to get a heavy sweat on with good aerobic / cardio exercise, or get your pump on with muscle-building resistance training, we’ve got you covered. Let’s start with the best portable cardio equipment and then look at the best resistance training equipment. When in doubt, keep it simple. Walking, jogging, running, and cross-training is the original cardio exercise. And all you really need is a good pair of trainers. Once you’ve got a pair that’s right for you, just lace up and go. That’s all you need to do. Skipping is a great cardio exercise that doesn’t require a lot of room. Jump ropes are usually inexpensive and easy to take anywhere, and they burn a heap of calories. Skip for 10 minutes and you’ll use more energy than jogging for the same period of time. It’s easy to do at home and while you’re traveling, which makes a jump rope an ideal item of small portable exercise equipment. 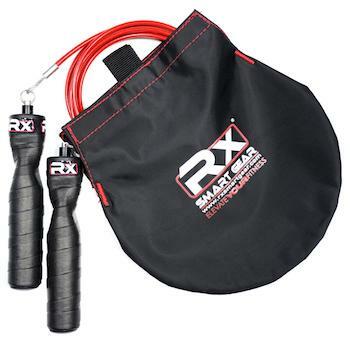 The RX Custom Jump Ropes from Rogue Fitness are unbeaten in quality and uniqueness. 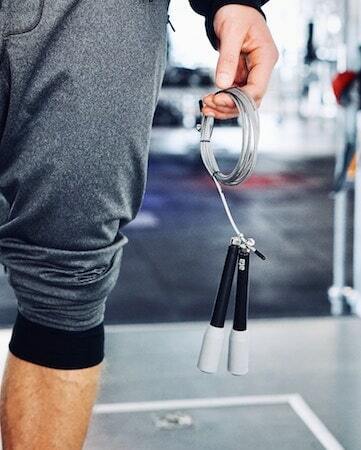 You can customize the colour, thickness and length of the cable to get a jump rope that is absolutely perfect for you. Definitely, a little pricier than the competition but worth every penny. 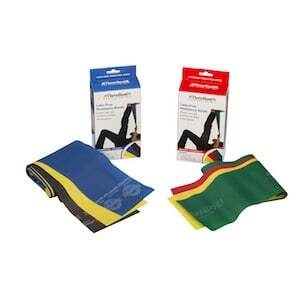 A good yoga or exercise mat is, in many ways, one of those fitness essentials. They’re perfect for things like Yoga (obviously!) and pilates, stretching and flexibility exercises, and core and bodyweight exercises like crunches and pushups. They’re also really handy when you want to do a good cardio routine that uses your bodyweight only, and has you moving between the floor and your feet often. Gorilla Mats: These mats are large, comfortable and durable. They’re a great solution for use in different areas around the home. GoMat 2.0: This mat is lightweight, and super tough. It rolls up easily, and its compactness makes it a better solution for travellers. 30 secs of Burpees, 10 secs rest, 30 secs of pushups, 10 secs rest, 30 secs of crunches, 10 secs rest, 30 secs of jumping lunges, 10 secs rest, 30 secs of leg raises, 10 secs rest, 30 secs of squats, 10 secs rest, and so on. For timed exercises (like the example just given), a timer will sound to signal you to move into each period of exercise or rest. For exercises with a set amount of reps, you do the exercises and then hit a button on the app when you’ve finished and it moves you onto the next exercise or rest period. These programs may sound fairly simple, but they are gruelling once you get into them. 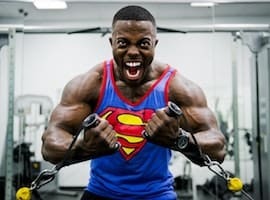 If you can stick with them and do the programs consistently, you’ll watch your aerobic fitness and strength skyrocket. If this is something you want to get really serious about, premium apps like Freeletics is a good way to go. The free version is pretty good, and will be enough if you’ve got your own motivation and structure sorted. If you don’t, the premium version, which comes with a ‘coach’ feature, is good but expensive (about $40 every 15 weeks). Check the Freeletics app out on android here or iOS here. If you want to go a bit more low-key, give the MMA Spartan Workouts app a try. It’s more basic than Freeletics, but it’ll definitely get the job done. The free version has a range of basic workouts, or you can upgrade to the ‘Pro’ version for about $5 – $6 to get access to more advanced ones. You can have a look at the MMA Spartan Workouts app on android here or iOS here. 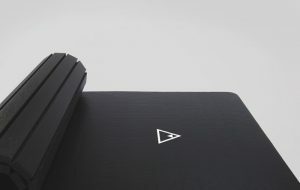 Both the Freeletics and MMA Spartan Workouts apps are suitable for beginners through to advanced users, however Freeletics has a more graded workouts and will help beginners step through the programs more easily than what MMA Spartan Workouts does. Suspension trainers are arguably the best portable resistance training equipment going. They allow you to do a really intense bodyweight workout for both your upper and lower body. Trainers like WOSS and TRX pack away very small, which makes them awesome pieces of mobile fitness equipment. Good suspension trainers can be used wherever there is a door, tree branch, or overhead beam or rafter. They’re absolutely perfect for permanent use at home, where they’re easy to set up anywhere you have an anchor point and some space to move. When you’re traveling, all you need is your hotel room door, or a park or other outdoor area with a sturdy tree branch. Our best recommendation for inexpensive portable suspension trainers is the extensive WOSS range, especially the ‘Military’. We previously did an extensive review of the WOSS range of suspension trainers, and we loved them. Resistance bands are such versatile and lightweight pieces of resistance training equipment. They pack away very easily, and take up minimal room in your home or suitcase. So, if resistance training is what you’re after while you’re on the road, then resistance bands are the ultimate travel exercise equipment. Obviously, they’re also easy to move around the house and can be used anywhere with room enough to stand. Rubber or latex tubing with detachable or permanent handles. Straight or looped sheets of rubber or latex. 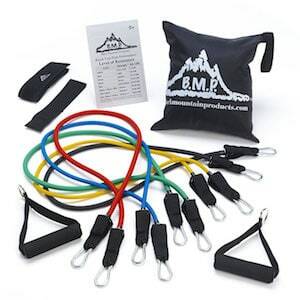 If you’re looking for the first type – tubing with handles – then the Black Mountain resistance bands are an excellent, inexpensive option. This kit has 5 bands with varying levels of resistance and detachable padded handles. They also come with a door anchor and carry bag, making them ideal for use in a hotel room. You can attach one or more bands to the handles, meaning you can have anything from very little resistance to a whole lot of resistance. Considering the range of exercises you can do with resistance bands, they’re basically a full set of portable gym equipment. If you’re after the second type – straight or looped sheets – which are generally better for stretching and flexibility exercises, then our recommendation is the Theraband non-latex bands. These are simple, inexpensive and good quality. They have a beginner set that offer a low resistance level, and an advanced set that offers more resistance. 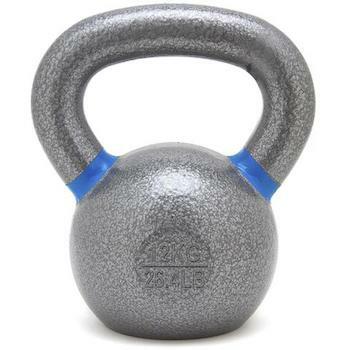 Kettlebells are all-round great items of exercise equipment. They can be used for both resistance training exercises and cardio workouts. If you choose a good weight that is challenging for you to both lift and swing repeatedly, then you’ll get the best of both worlds. In terms of portability, they don’t require much space to store or use, and so can be used in any area that has a little more than an arm’s width of space around you. Due to their weight, they’re probably not the best equipment to take when you travel by plane, but if you’re driving then you could fit one or more in your trunk pretty easily (depending on how much luggage you have!). Our favorite kettlebells are a tie between the Rogue Kettlebells from Rogue Fitness and the OneFitWonder Premium Kettlebells from Fringe Sport. 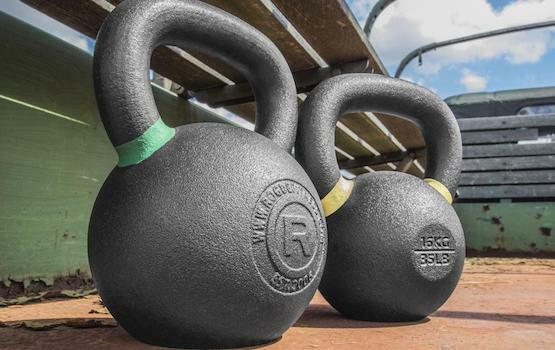 Rogue Fitness are known for their outstanding fitness equipment, and the weight range of their kettlebells far exceeds that of Fringe’s (9 lbs – 203 lbs for Rogue vs 9 lbs – 106 lbs for Fringe). Fringe Sport offer free shipping on all their products, but the shipping cost is really just built into the product price. Now, we know that these probably look gimmicky. But in a discussion about portable resistance training equipment, they really do make the cut because they’re the most portable weights. Quick-lock adjustable dumbbells allow you to quickly change the weight of the dumbbell without having a ton of weight plates lying around. This is usually done in a couple of ways depending on the type. Some achieve the quick adjustment by turning a dial at the ends of the dumbbells which either grabs plates if you’re trying to go heavy, or releases them if you’re trying to go lighter. Alternatively, some variations have a metal rod that slides through holes in the plates and fixes them in position with a quick-locking mechanism, as opposed to having to slide plates onto a bar and then secure them with a screw-on collar (like you do with regular dumbbells). Note: Adjustable dumbbells tend to be expensive. 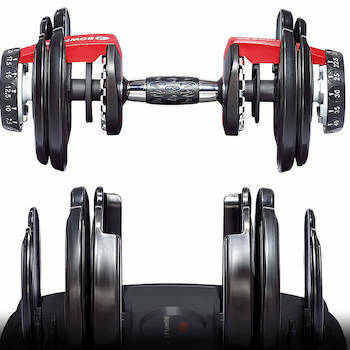 We did a detailed review of the Bowflex Selecttech 552 Adjustable Dumbbells, which is one of the most popular types of quick-lock adjustable dumbbells. If you’re looking for good portable weights to use at home, then these are as good an option as any. If, however, you are looking to take them traveling with you, then they may not be the best as they won’t withstand a lot of knocking around. 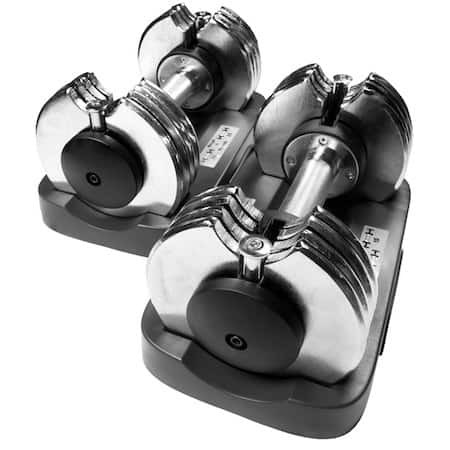 Bayou Fitness’ adjustable dumbbells are quite similar, only much more durable, and we think more suitable for throwing in a car and taking lots of different places. They’re 25 lbs a piece, so should be fairly easy to lug into and out of your car (we don’t think dumbbells are practical when traveling by plane, but that’s up to you). Core sliders are platforms that you place beneath your hands or feet on and that have a special material on the bottom, which allows you to do ‘gliding’ exercises. Gliding exercises supposedly engage your core muscles intensely and can be used for cardio and resistance training workouts. This video will give you a better idea of how they work and what you can do with them. The new kids on the block in core sliders are FLYUP Fitness. 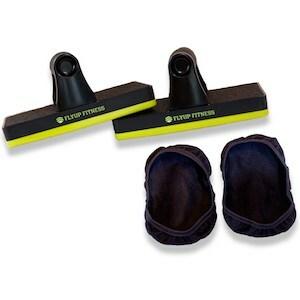 These sliders have detachable handles, which increases the range of exercises you can do with them. 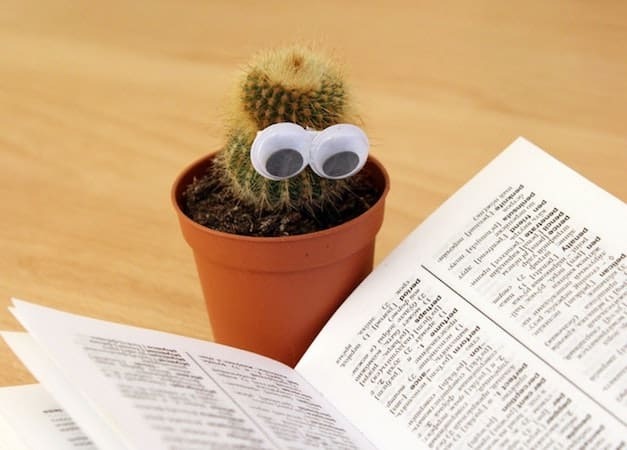 They also offer something a bit different, which is one reason we’ve included them in this article. Varying your exercise routines is good for your body and your motivation. Core sliders are also compact and portable, so they’re potentially a good option for both home and travel. 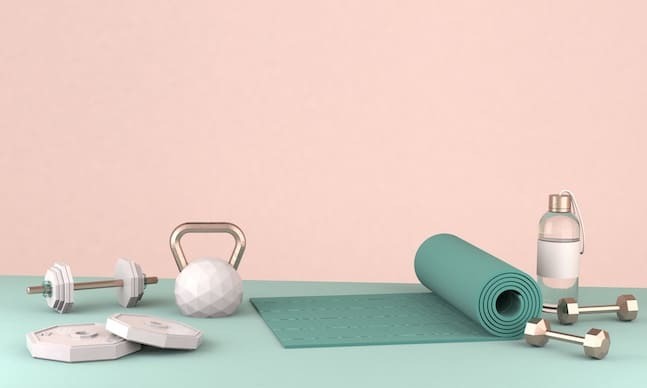 Here are a couple of extra things you might like to have with you around the home or on that next business trip that’ll help you make sure you’re getting the good quality exercise you need. 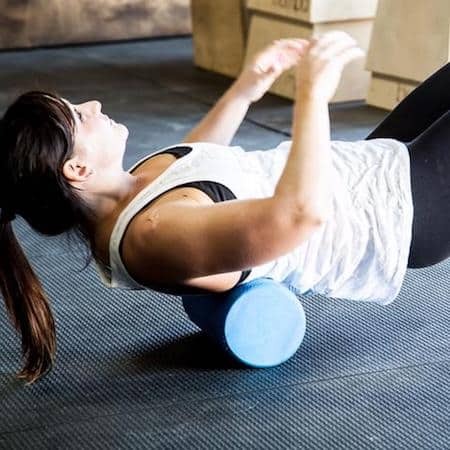 Foam rollers are good for complimenting your other home or travel exercise equipment. 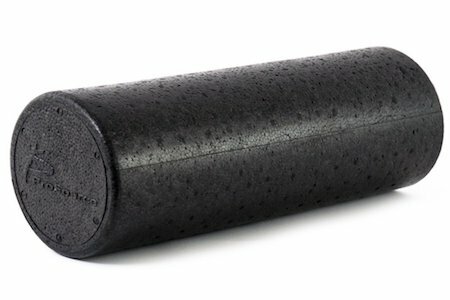 For those who are unaware of what a foam roller is, it’s a cylindrical piece of equipment that’s covered in high-density foam, which you use to ‘roll out’ various muscles, including those in your legs and back. They’re known as ‘self-myofascial release’ tools. Myofascia or myofascial connective tissue is a strong and flexible kind of connective tissue that surrounds your muscles and bones. Rolling it out, or ‘releasing’ it, after exercise using a foam roller has been shown to improve both flexibility❅ and muscle recovery❅. The 12-inch ProSource Foam Roller is a solid option for a compact and portable foam roller. It’s both inexpensive and good quality. Overcoming Gravity: A Systematic Approach to Gymnastics and Bodyweight by Steven Low is easily one of the best books you can read on effective bodyweight training. In fact, it’s one of the best books on strength and conditioning overall. Keep it on your coffee table or packed in your suitcase for easy access at home or when you travel and you will be able to reap the benefits of physical activity anytime, anywhere. Low goes into extensive detail on a range of bodyweight exercises, with an emphasis on correct form. The section on exercise variations and progressions is a thing of beauty. You do, however, need to be aware that this book can get quite technical in parts, and has little coverage of lower body exercises. Overall though, it’s an excellent investment in your strength, power and general physical and mental health. Convict conditioning by Paul Wade is another great bodyweight training resource. This book demonstrates just how effective your own bodyweight can be for giving you an intense workout. The tone of the book can be a bit macho, especially when the author goes on about things like ‘secret prison knowledge’. If you can see all of that for the marketing hype it is and ignore it, the instructional material is first class. Do the exercises, follow the progressions and you’ll get an outstanding minimalist workout. Well, there you have it! The best portable exercise equipment for home and travel. 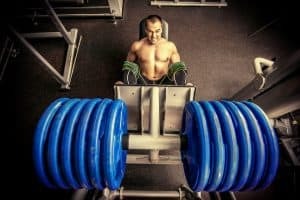 Whether you’re looking for a great cardio workout you can do anywhere in your home, an intense muscle-building workout for the next time you’re on the road, or anything in between, the equipment above will make sure you’re getting what you need. Thanks for reading the article. Leave any comments or thoughts you have in the comment section below. All the best with your home (and travel) workouts. Remember: When it comes to our health and fitness, we can make the effort or we can make excuses, but we can’t make both.